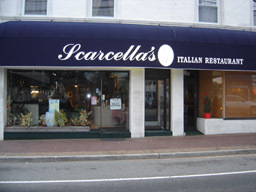 Scarcellas Restaurant is a casual, yet elegant dining atmosphere. 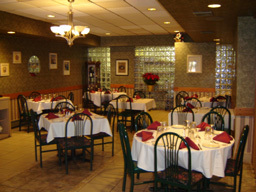 The ambiance caters to a diversified clientele ranging from business people to intimate parties of two or more. At Scarcellas Restaurant, you can be sure that we only use the freshest ingredients that ordain the tantalizing Italian cuisine. Everything is made to order, so feel free to ask us about any special needs or wants to fit your every desire. Don't forget to ask about our specials of the day and remember to leave room for dessert! Every good meal has that perfect drink to go with it. 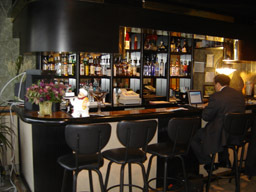 At Scarcellas Restaurant we have an extensive wine list, a full Martini bar and the best specialty drinks in town. Come early with your friends and enjoy a few drinks at the bar before dinner. Your time at Scarcellas Restaurant is your time to relax, unwind and enjoy. Whether it's casual dining elegance or special occasions, Scarcellas Restaurant serves exquisite Italian cuisine and a relaxed atmosphere in which to enjoy it. We cater for all occasions: Business meetings, Wedding Receptions, Birthday parties, etc.. For reservations, questions or catering inquires, please contact us at 516-569-6094. We hope to have the opportunity to serve your special event.